While Uber is trying hard for redemption from the scandals and controversies of past few months, looks like the rut is only deepening. 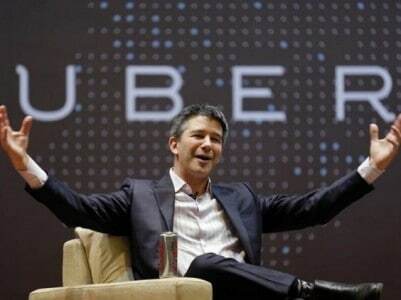 Just after investor, Benchmark Capital filed a lawsuit against the company’s ousted chief executive, Travis Kalanick alleging fraud and breach of fiduciary duty, three other Uber investors reportedly asked Benchmark to divest its shares and step down from Uber board. The shareholder group is led by Shervin Pishevar, head of Sherpa Capital; Ron Burkle, chairman of Yucaipa Co.; and Adam Leber, a partner at Maverick, an entertainment management firm, according to Axios, which first reported news of the action. It is important to note here that Shervin Pishevar and Ron Burkle are known Kalanick’s loyalists who has himself been trying hard to find a way back since resigning under shareholders’ pressure. In the letter, Uber shareholders condemn Benchmark’s decision to “hold the company hostage” by forcing Kalanick to step down a few weeks ago and attempting to remove him from the board with a lawsuit. Benchmark was among the Uber investors in June who pressed Kalanick to step down after a string of setbacks. The latest turn of events adds to the Uber’s ever-growing list of problems. The company that’s already mired in a string of lawsuits wouldn’t want its ugly boardroom battles to play out in public. Uber certainly needs an able CEO at the helm of things to restore all that the company has lost in past couple of months.